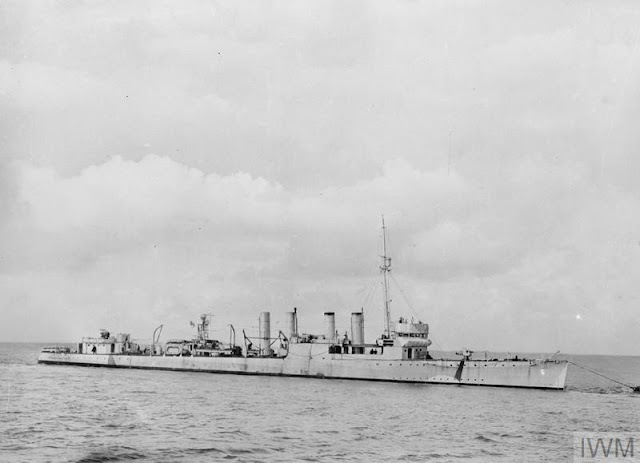 HMS Salisbury (British Town Class), one of the destroyers acquired in the September 1940 destroyers-for-bases deal (formerly USS Claxton). 19 February 1941 © IWM (A 3162). Italian/Greek Campaign: The Greeks stage a minor attack west of Klisura on 19 February 1941. However, the Epirus Army makes little progress against the Italian 11th Army. While the front remains locked in the status quo, the British are furiously working on plans to help Greece and break the stalemate. Secretary of State Anthony Eden and Chief of the Imperial General Staff Field Marshall Sir John Dill, both in Cairo to help with this project, meet with General Alan Cunningham (brother of the Admiral) and Middle East Commander General Archibald Wavell (American observer "Wild Bill" Donovan also is in town). Bowing to the inevitable, Wavell expresses the willingness and ability to start transferring troops. British Prime Minister Churchill sends a memo to Permanent Under-Secretary for Foreign Affairs Alexander Cadogan in which he writes that it is "impossible" to both advance to Tripoli and help Greece. Churchill expresses doubt that Greece actually will accept aid, but vows to send "whatever troops we can get there in time." Further advances in North Africa, he says, "may well happen," but only after Greece makes some kind of arrangement with Italy and Germany. East African Campaign: In Abyssinia, deposed Emperor Haile Selassie arrives at Dangilla in the northwestern region. This is his first appearance in a major town. He is protected by Brigadier Orde Wingate's Gideon Force. As expected, he proves wildly popular among the native population. Gold Coast troops find a crossing of the Juba River at Mabungo. After furious bridge-building before dawn (it is known as "Union Bridge"), "A" Company of 1st Transvaal Scottish break out of a small bridgehead toward the Jumbo-Jelib road. Before they reach the road, however, the Italians (193rd Colonial Infantry Battalion) open fire, supported by artillery (four light field guns). The British get half a dozen armored cars across the river and disperse the native troops. The British take two wounded, while the Italians lose four officers and forty dead native troops. This opens the crossing completely, and during the afternoon the British cross the river in strength. Jumbo lies just ahead, and many Italian troops flee during the night. This leaves it easy prey for the British troops. Other British troops also cross the Juba and head towards Mogadishu. The port of Kismayu, previously captured, opens to Allied shipping. Swansea, 1941 (National Library of Wales, 875B, ). European Air Operations: After a long period without any apparent strategy, the Luftwaffe resumes its campaign against particular moderate-sized cities. This is despite snowstorms during the day which largely keep RAF Bomber Command grounded. 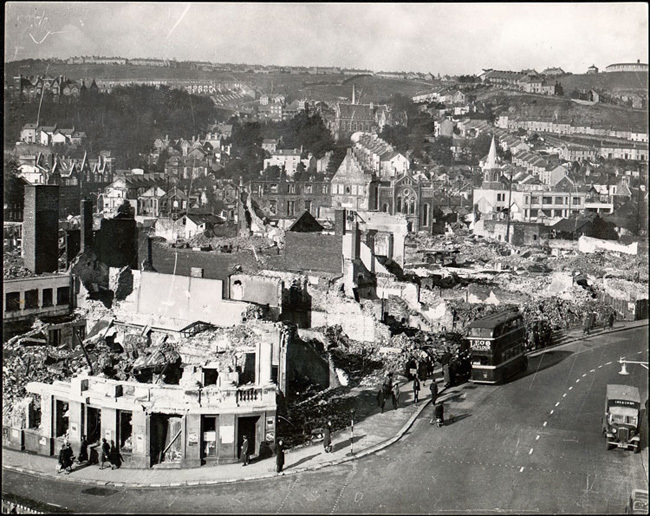 Just as cities like Coventry and Bristol have borne the brunt of concentrated Luftwaffe attacks, now it is Swansea's turn. This becomes known as "The Three Nights' Blitz." The bombers appear at 19:30 and target 41 acres around the city center - there is no subtlety about this attack. The historic heart of the city is destroyed. British 204 tug Queenforth is damaged and sinks during the Swansea attacks. It comes to rest in shallow water and is refloated in 1942. RAF Coastal Command bombs Brest and Calais. Another view of HMS Salisbury, 19 February 1941. © IWM (A 3161). Battle of the Atlantic: Winston Churchill is outraged that the U-boats were able to pick off 8456 ton tanker Siamese Prince on the 18th (sunk by U-69). He directs that ships carrying important war material be monitored and given special escorts on their final approaches to Great Britain. Since there were no survivors of the ship, it is somewhat surprising that he has received concrete news of its dispatch this quickly - but, as a former First Lord of the Admiralty, Churchill keeps a very close eye on all naval matters. Admiral Lütjens in command of Operation Berlin, with two heavy cruisers (Gneisenau and Scharnhorst) prowling the North Atlantic shipping lanes, is frustrated. He can't find any targets on the most heavily travelled route to Great Britain. He decides to turn west to see what turns up. The Admiralty considers way to beef up the convoy escorts, perhaps in light of the looming presence of the German heavy cruisers. One resource that has not been tapped recently is submarines as escorts. They order submarines to Halifax to begin covering HX convoys. The include HMS Severn, HMS Thunderbolt (which departs from Holy Loch today), HMS Talisman, Dutch submarine O.15, and French submarine Surcouf. They also send submarine depot ship HMS Forth. The Germans have multiple ways to enforce their blockade of Great Britain. Torpedo boats are an oft-overlooked means of ship sinkings. Today, the 1st MTB Flotilla sends S-28, S-101 and S-102 on a patrol on the British side of the English Channel. S-102 sinks 1355 ton British freighter Algarve near Sheringham Light Float. Everybody aboard perishes. The Luftwaffe attacks Convoy OB-287 in the Northwest Approaches. They sink 5642 ton British freighter Gracia and 5559 ton British tanker Housatonic. Everybody on the latter perishes, while everyone on the Gracia survives. It easily could have been the reverse. That's just the luck of the draw on the convoys. The Luftwaffe also bombs 395 ton Dutch freighter Karanan about six miles off the Lizard. The ship is towed to Falmouth, while three men are lost. The Luftwaffe bombs and damages 8882 ton British tanker Athelsultan off May Island. The damage does not disable or threaten the ship, which makes it to an anchorage at Methil Roads. U-69 (Kptlt. Jost Metzler) and U-103 (Viktor Schütze) continue their very successful patrols. They have been lurking in the shipping lanes and picking off convoy stragglers. U-69 at 08:18 torpedoes and sinks 5693 ton British freighter Empire Blanda. Empire Blanda is a straggler behind Convoy HX 107, and stragglers are easy prey. U-103 at 22:22 torpedoes and sinks 7034 Norwegian freighter Benjamin Franklin. It also is a straggler from Convoy HX 107. Carrying 1700 barrels of acetone, the Benjamin Franklin blows up in a fireball when a second torpedo ignites them.The Benjamin Franklin survivors are picked up by Egyptian freighter Memphis, but 29 never see port again when the Memphis sinks on the way home on 28 February. That is another luck of the draw in the North Atlantic. Royal Navy submarine HMS Tigris (Commander Howard Bone) has a big day while operating in the Bay of Biscay. It torpedoes and sinks 523 ton French cargo ship Jacobsen off Bayonne and 3181 ton French freighter Guilvinec off St. Nazaire. German tug Enak hits a mine and sinks in the River Ems. Royal Navy sloop HMS Pelican hits a mine off Harwich. It must be towed into Sheerness and will be out of action until December. British 1596 ton freighter Fulham II hits a mine off Type Piers, killing a crewman. The captain beaches the ship at Frenchman's Point, and it later is refloated and taken to Jarrow for repairs. British 4099 ton freighter Jessmore collides with another ship West of Ireland (it is heading south for the Mediterranean). The crew fights to save her, but finally gives up on the 20th, abandons ship, and the ship sinks. Convoy HX 110 departs from Halifax. Norwegian freighter Benjamin Franklin, a victim of U-103 today. Battle of the Mediterranean: German radio crows about the Luftwaffe's recent successful mining of the Suez Canal on two occasions. Its information is surprisingly accurate, noting the shipping losses that have closed down sections of the canal. 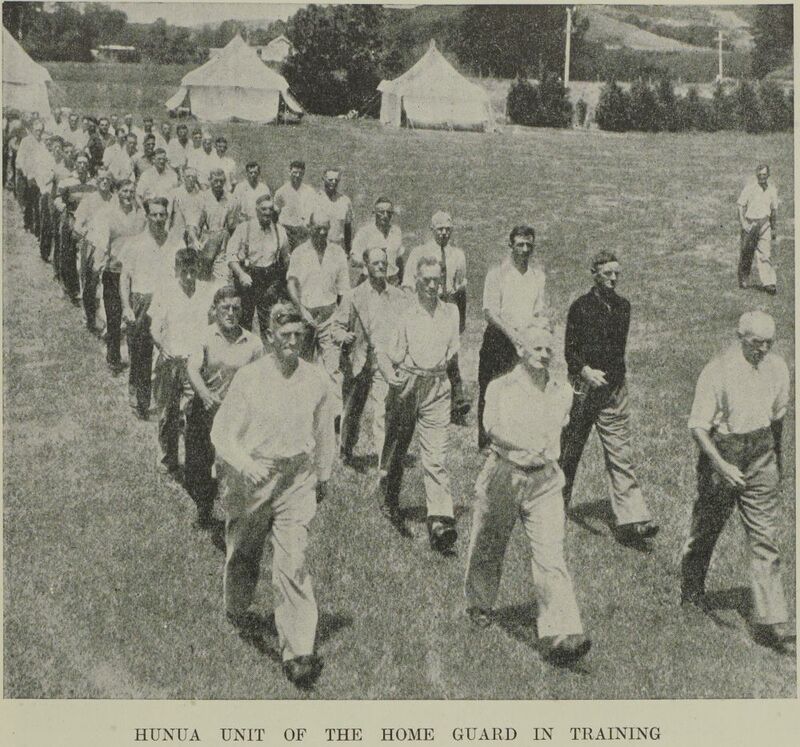 While hardly a surprise, this shows they have good agents in the vicinity, most likely among the Arab population which throughout the war shows an affinity for the German cause. The Luftwaffe engages in a dogfight involving Bf 110s of III,/ZG 26 and Hurricanes of Australian No. 3 Squadron. The Germans lose a Zerstörer but shoot down two Hurricanes for their first two victories in North Africa. 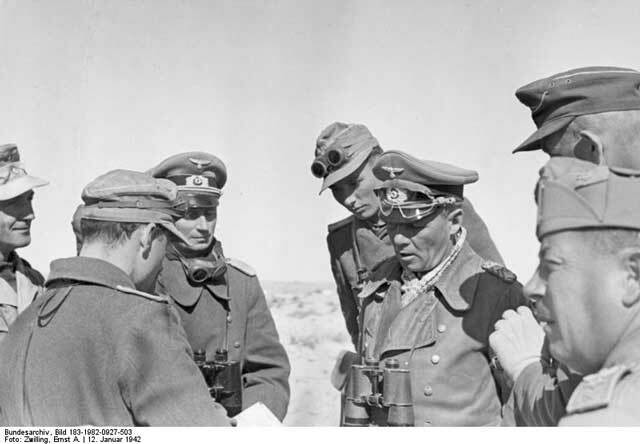 General Rommel begins sending patrols out of Tripoli to look for the British - who are more interested in Greece than they are in the Afrika Korps. It is time for another convoy run to Malta, MC 8. The Mediterranean Fleet at Alexandria is divided into Forces A and B and leaves port at 17:30. The Luftwaffe attacks Benghazi. Australian destroyer HMAS Stuart suffers damage from a near miss, but the damage is negligible. Convoy AC 1 leaves Benghazi. This is an unscheduled convoy, composed of ships fleeing the Luftwaffe and Italian air attacks on the port. Corvettes HMS Gloxinia and Hyacinth have been damaged while clearing mines in the harbor and lead the convoy out. The ships head for Tobruk. 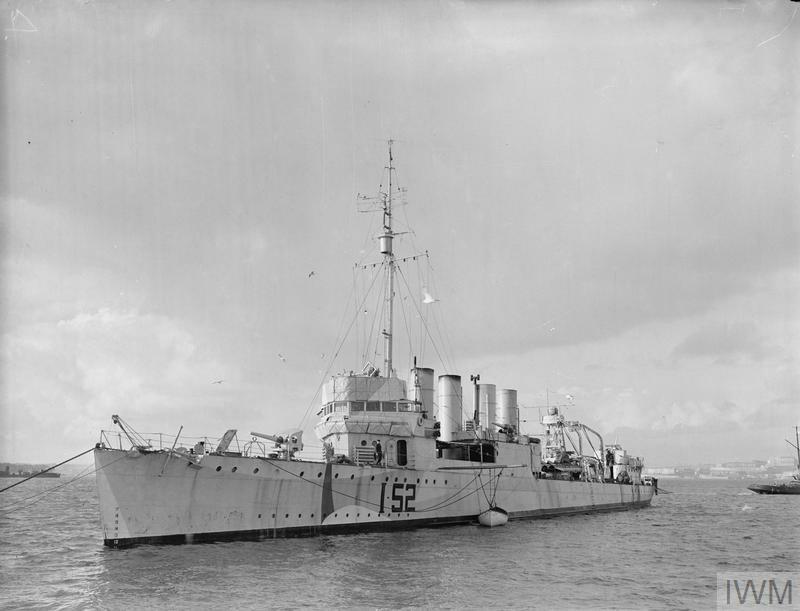 Monitor HMS Terror remains in Tobruk to provide antiaircraft support. Royal Navy submarine HMS Upholder (Lieutenant-Commander Malcolm David Wanklyn) takes a potshot at an Italian Freighter in the Gulf of Gabes, but misses. The Free French under Colonel Leclerc continue to invest the El Tag fortress at Kufra. The French are bombarding the fortress with a 74 mm field gun and several mortars. At Malta, Governor Lt. General Dobbie telegrams a proposal to the War Office to impose compulsory conscription. US/Japanese Relations: New Japanese Ambassador Nomura gives his first press conference in Washington. He tries to be reassuring, saying that there need not be war in the Pacific if the US does not want it. British/Irish Relations: Prime Minister Winston Churchill memos Secretary of State for Dominion Affairs Viscount Cranborne about Cranborne's proposed visit to Eire. Churchill clearly feels the visit would be pointless and notes that Cranborne either would have to lie, or "make many inconvenient admissions" about "the hard policy which it is our duty to pursue." Churchill concludes that Cranborne can raise the issue of a visit to Ireland with the Cabinet - which of course Churchill controls completely. British Government: Churchill expresses outrage that the author of a pamphlet expressing positions antithetical to those of the government (meaning Churchill) has not been disciplined under Defence Regulation 18B. The Duke of Bedford, Churchill writes, should be treated "with severity." Bedford espouses such heretical notions as negotiating a peace with Hitler. By reference to Sir Oswald Mosley, Churchill makes clear that he believes Bedford belongs in prison. New Zealand Home Guard, 19 February 1941, Sir George Grey Special Collections, Auckland Libraries, AWNS-19410219-32-1. Australian Government: Prime Minister Robert Menzies flies from Freetown to Lisbon en route to London. He notes that Lisbon recently suffered a hurricane, which sank one of the two flying boats that had been available to transport him. He meets with local Ambassador Sir Ronald Campbell, who urges him to look with favor on Marshal Petain, who "has done well" after an unavoidably rocky beginning. Burma: The American Volunteer Group under Claire Chennault is going to be based in Rangoon. The first shipment of P-40s leaves New Jersey for Burma. Dutch Homefront: The tensions remain high in Amsterdam. Rebels from the Jewish Action Group have taken control of some portions of the city, but the Germans are fighting back. German Grüne Polizei attack a rebel strongpoint on the Van Woustraat. The police take the Koco ice-cream parlor, owned by Ernst Cahn and Alfred Kohn, but suffer several casualties. The Germans regroup and plan their revenge. Future History: David Jonathan Gross is born in Washington, D.C. He becomes a top physicist, wins numerous awards including the 2004 Nobel Prize in Physics (shared) for discovery of asymptotic freedom. 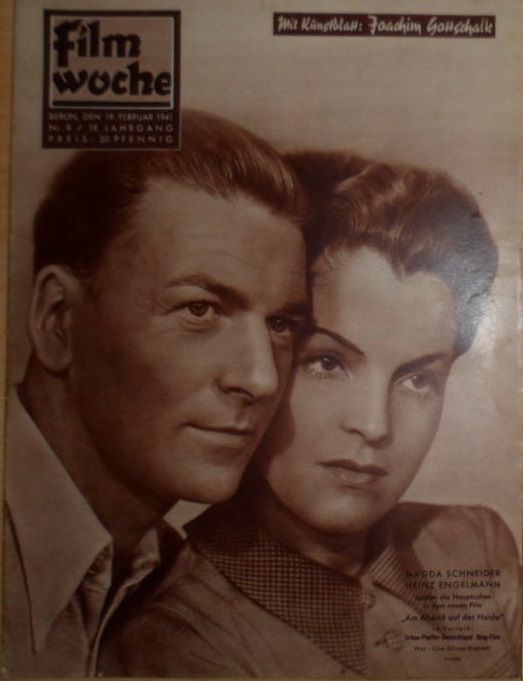 Magda Schneider, Heinz Engelmann, Filmwoche Magazine [Germany] (19 February 1941).